Since Facebook has become the biggest social media site, many people are having a Facebook account to show their presence in order to make friends or to do business. Facebook show suggested profiles on your timeline to send a friendship request. Also, people voluntarily search by name to get friends. If they see a profile picture on an account, they might have a big doubt about whether the profile is handling by a legitimate person or a fake one. By seeing their profile pictures, we can also make a note of likes and comments. If a particular profile has a lot of reputation, the profile can be trusted. Some Facebook users may not want to have more friends. Hence, as a result, you will see less to zero likes and comments on their profile and other uploaded pictures and status messages. If you have a doubt that the profile must be fake, you could investigate it. 90% you will have the chance to tell whether the Facebook profile is a Trusted ID or Fake. 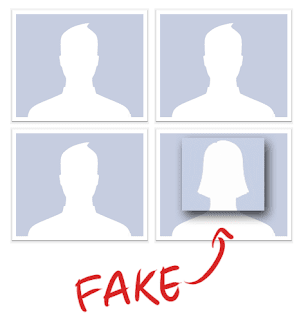 So, How Can You Find Fake Facebook Accounts? You have to do the Reverse Search Through Google Images. We know that we get n number of images on Google images. Google can show all images from a website if it is indexed in Google search results. Users behind fake profile find images from other Facebook accounts or from Google images. I can also see images repeated on many Facebook accounts. Fake users quickly get images from Google and upload it on their profile. They pretend to be someone else. This is really a dangerous move because many innocent users are cheated by fake users. Facebook doesn't have Account ID verification for every user. This encourages the cheaters to create a lot of Fake profile accounts. We need to be aware of this and should be careful when chatting with an unknown user. First of all, download the profile picture of the account which you suspect as fake ID, or if you have any other concerns about the authenticity of ID. Search for anything and move to images or simply go to Google images. You will see a Camera icon on the rectangular search box. Click the Camera icon and upload the downloaded image to Google images and search by picture. If the uploaded image size is small or large, you will find the same image in different or exact size. 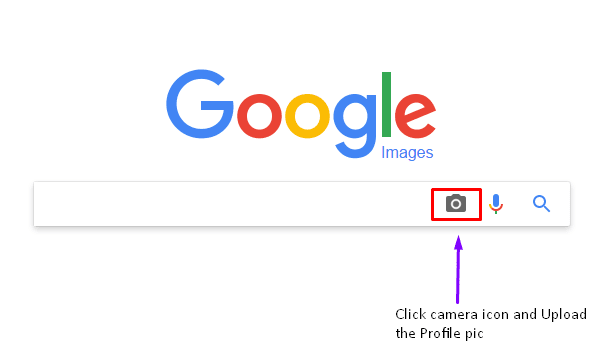 If you have found the person's image on Google, check the website from where the image is showing on search results. If the Facebook name, picture, and biography and other details matched with the information available on third party website(s) like Linkedin, the profile might be a genuine one. In case, if the information differs, it might be a fake profile account. Note: I cannot assure that this method will work for every account that you suspect. In most cases, this method will surely work. Though Facebook is a great place to make new friends and to continue the relationship with known friends online, you have to be careful while making new friends because Facebook doesn't give the Blue tick verification to everyone on their timeline. I hope this feature will be available to everyone to make legitimate contacts on Facebook. Nice going bro amazing post!! !